This stunning selection of soft pink roses and delightful germinis is with no doubt classical elegance. Delicately arranged with lilac statice flower this bouquet is sure to inspire admiration. Original Bouquet contains 7 stems. I wish I'd found this company a few years ago. That would have saved me a lot of nerves. Totally recommend their flower delivery services. I just received the bouquet and it looks amazing!!!! Thanks Handy Flowers for not letting me down! I was searching for the best bouquet for a newborn baby girl. I read many positive reviews about this company online and decided to take a look at their bouquets. Pink Sorbet was the one I liked the most. Pink and beautiful! Fair price and a lovely bouquet - what else can you ask for. The delivery was fine. What can I say? 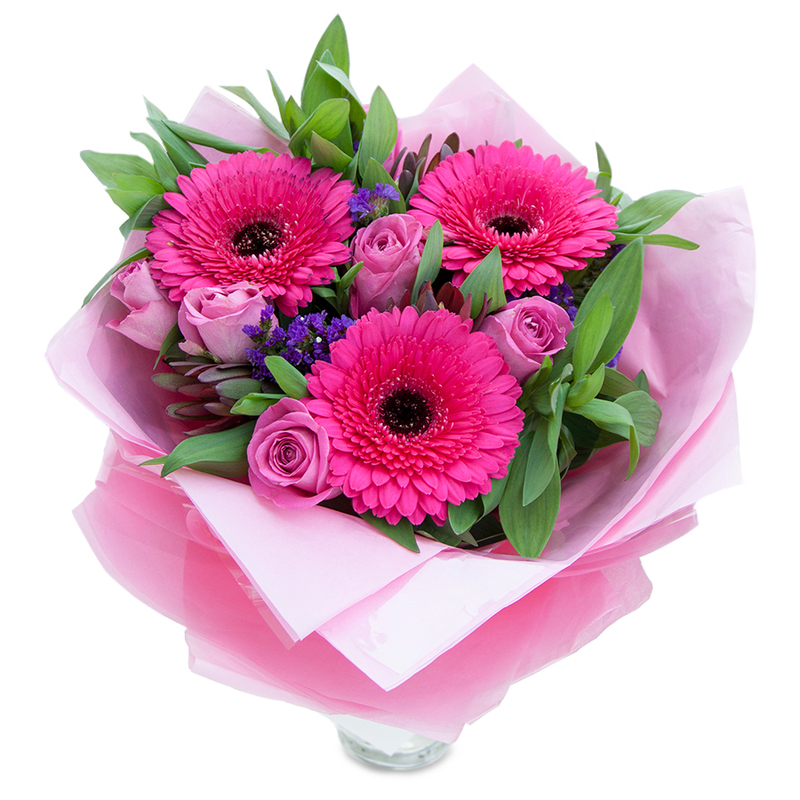 Wonderful flowers, great attitude, affordable price and prompt delivery... what else can you wish for? Thank you Handy Flowers! You're the BEST! I ordered a large bouquet from them to surprise my wife and it was a grand success. Their flowers always look like they’ve just been cut from the garden and they are cleverly arranged in stylish, attention-grabbing displays. 5 out of 5 stars, easily! A great selection of glamorous flowers; the designs are modern and elegant and they always deliver on time. Recommended! Got a cheerful flower arrangement for my daughter’s birthday party and that too at a cheap price. Recommended! The flowers in the bouquet were combined just perfectly. They were freshly cut and lasted for quite a long time too. Marvellous! Hadn’t used Handy Flowers before as I live abroad but needed to send some flowers to a relative. Was incredibly pleased with the service received and even though I didn’t see the flowers, I was told they were beautiful. Website was easy to use, flowers delivered on date I asked for and great communication at each step. The recipient of the flowers was overjoyed. Dispatched on time, delivered on time and exactly as described on the website. 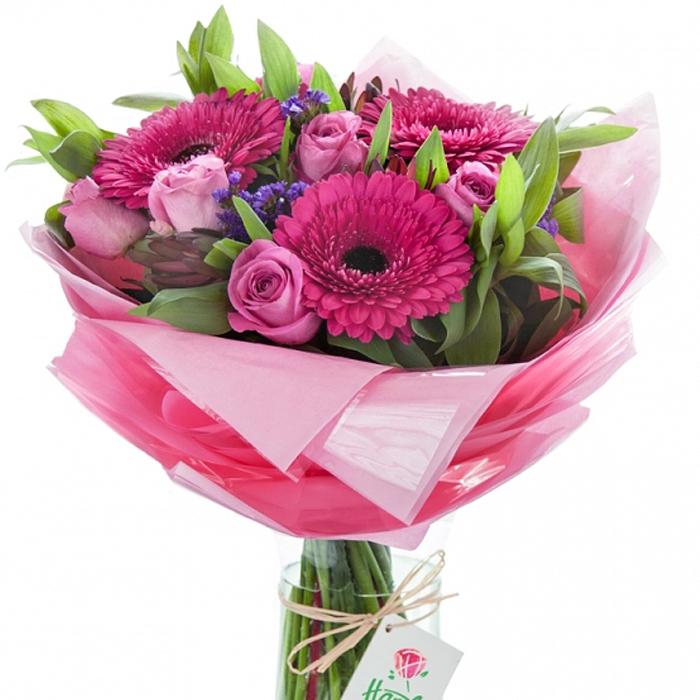 Will 100% recommend Handy Flowers to family and friends – 1st class service and product. Good value for money and the flowers were exactly as described.